Have you been dreaming of an excellent auto mechanic in the Holmen area to service your Chevrolet? Then the auto repair technicians at Cordell’s Automotive would like you to come in and “kick the tires.” We would be honored to do some work on your Chevrolet. The auto repair technicians at Cordell’s Automotive understand that driving a Chevrolet is a truly American experience. Whether you’re driving your Chevrolet through Holmen, or farther afield, our auto mechanics know a Chevrolet makes you happy from the Chevy logo to its special tires. You don’t want just anyone to touch your baby (we hear this a lot from Chevrolet owners). You want to carefully choose the auto repair shop that services your car. 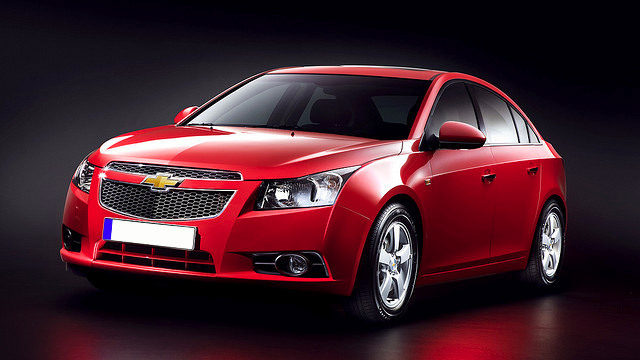 Why choose Cordell’s Automotive in Holmen to service your Chevrolet? Lots of reasons! We’ll treat your car like it’s our own, for one. Our 3-year/36,000-mile warranty gives you peace of mind if you’re away from Holmen for that special Chevy rally and something goes amiss. We have loaner cars and can give you a ride because we know you’re busy. Our auto repair technicians have a reputation for honesty and integrity. We’d love to work on your Chevrolet. Schedule an appointment today. Cordell’s Automotive is located at 300 South Holmen Drive, Holmen, WI, 54636. Our hours are 7:00 AM - 5:30 PM, Monday - Friday. We also service the communities of La Crosse, Onalaska, and Trempealeau.